The front yard may be the showpiece of your landscape, but the backyard is all yours. 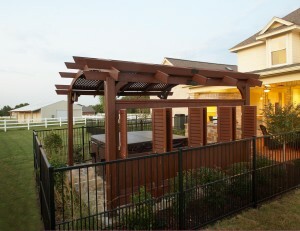 The backyard is your sanctuary; your place to relax, entertain and play. If your backyard could use a facelift, here are some tips to help make your backyard dream a reality. Dream as big as you want. Decide what you want to do with your yard: playground for kids, an entertaining area or a cozy retreat. Decide what materials you like best: brick, water, plants. Dream up your perfect backyard and then simplify it to meet your needs and budget. Put your dream on paper. Drawing out your dream backyard can give you a birds-eye view of the entire project and allow you to start on it in steps. Make sure you draw your plan to scale so you can see the relationships between spaces. You don’t need to do everything at once, but remember to be thinking ahead when you’re working. A good plan builds on itself and can be easily done. With these simple tips, your dream backyard can become a reality in no time at all.